Let’s start narrow, with two little ones. When you’re looking at a normal search query, you’re getting the highest ranked results. But these are often out of date. You can use the Advanced tab to get recent results but this is a bit kludgy. I’d like to be able to easily order results by recency. Second, I think Google seriously underuses Alerts, the email notifications you can set up on any search query. With Alerts, you get new results as they are indexed, so over a period of three months or so, you become very well informed on your subject. My point is, running an Alert once a week for a three month search period can be far more powerful than a one-off search that generates 400,000 results. Some searches you do will be one-offs but some will be ongoing areas of interest. Current search engines don’t distinguish between the different classes of search. Google doesn’t promote the Alerts; I’d be putting the Alert button next to every search query you run. And I’d be offering it as an RSS feed as well as an email. Google is a bot. An automated search built in a pre-Web 2.0 world. Perhaps the way to beat it is to take advantage of (1) the fabulous people who are already out there categorising and rating content and (2) people doing new searches who are encouraged to rate/tag the sites they visit. Imagine a service that aggregates searches done on Web 2.0 sites like StumbleUpon, Delicious and WordPress then indexes their tags. Aggretagging. To me it’s not about getting 400,000 results, it’s about getting 20 better results than Google. To do this, you need the discernment that real people bring to the equation. The other tactic is to turn your search engine into a social engine, using networks of existing and emerging friends. Google has no soul. Compare it to Twitter or Friendfeed; already being used by people to share quality sites. People use social media to build knowledge networks. That’s a threat to the Googlebot model. Experience with Delicious and Twitter shows that people are prepared to share some of their search results. Our social engine would allow you to share as many of your search queries as you wanted. 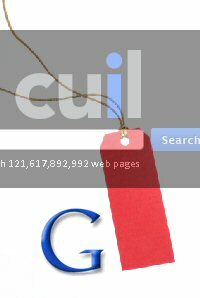 Cuil was exactly wrong. Less privacy, not more. Combine the social networks with aggretagging and Bot’s Your Uncle. Social aggretagging. As usual you make sense.